Mizuna is a small, toothed, salad green with a crisp, peppery flavor. Makes a spicy addition to any salad. 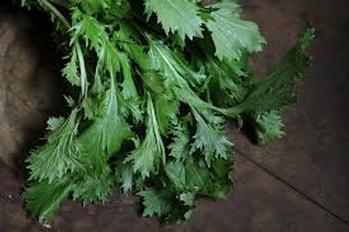 Store mizuna in a plastic bag in the hydrator drawer in the refrigerator. Store for up to one week. Leaves will lose integrity and wilt if allowed to dry out.